As a result of an online vote, the first winner of the GMES Masters competition goes to Chelys for their Satellite Rapid Response System. They were voted Best Service Challenge. 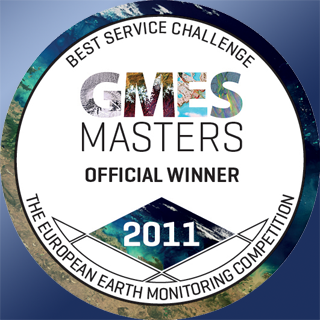 The GMES Masters competition called for new ideas and services for the best use of Earth observation data from Europe’s Global Monitoring and Security programme. The competition, which closed on 15 September, aimed to encourage students, researchers and entrepreneurs, new companies and small to medium enterprises to develop new applications for data from the GMES initiative. More than 100 ideas were submitted and the winners will be announced following an awards ceremony on 19 October. In the meantime, the Italian company Chelys has been voted the winner for the Best Service Challenge for their Satellite Rapid Response System. Submitted by Luca Mellano from Chelys, the award-winning Satellite Rapid Response System performs real-time processing of satellite data from ESA and NASA missions, making these data available only two minutes after acquisition.